It is that time of year again. The air is getting cooler, the winter coats come out and for nice comforting food. It`s time to harvest energy for the changes afoot as our body starts getting ready for the winter. During this new season everything in our body, from sleep patterns, hormonal imbalance, mood swings and energy levels can be affected by autumn’s shorter days and longer nights. Some people can develop Seasonal Affective Disorder – a depression or anxiety that occurs in colder months, partly due to the reduced sunlight we encounter. Yoga can help you go through this transition offering a better quality of life. Autumn is the perfect time to wipe the slate clean and start fresh, letting go of any unnecessary baggage. 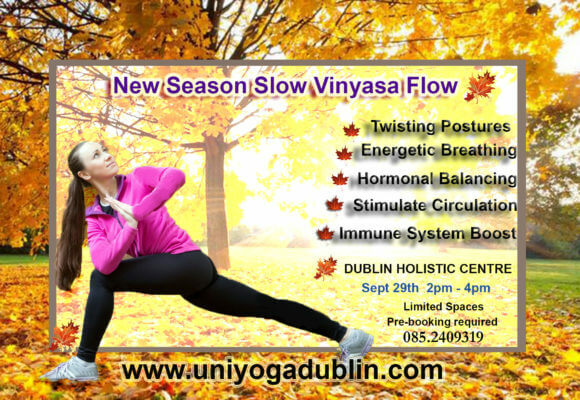 For our Autumn Yoga Flow we will address all these changes through specifics Asanas (poses) with twists to detoxify the internal organs flushing the toxins and stimulating new blood flow. We will work on developing an understanding and improving the changing moods with breathing techniques and meditation time – boosting your defenses with Lymphatic flow and stimulating the nodes for better immune system work . Join us for this invigorating twisting vinyasa flow to help nourish the body and support the lungs, immune and digestive systems throughout the winter months. 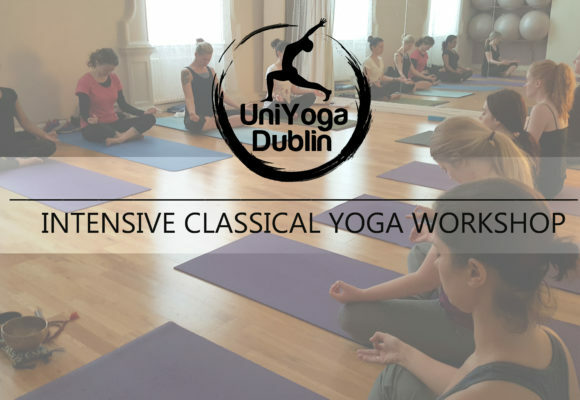 This workshop is suitable for all levels and will be at a nice slow pace with lots of twist poses – Agnisara kriyas to stimulate your intestine, conscious breathing exercises and guided meditation.